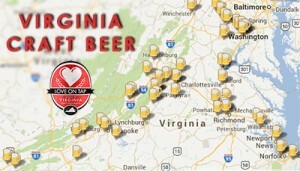 August Virginia Craft Beer Month Starts NOW! In honor of the second annual August Virginia Craft Beer Month, we sought local input on the best places to get Virginia craft beer on tap. The response was passionate and inspiring. Get behind this homegrown initiative and take the “shop local” idea further with “drink local.” Where to do so? Read on, friend. Champion Brewing Company in Charlottesville is also a newbie, but beer connoisseurs know a good brew when they taste one. Harrisonburg LOVES Virginia craft beer. Not only did we receive many nominations for their Three Brothers Brewing Company, but their restaurants are hip on the scene, too. Capital Ale House has a presence in Richmond, Glen Allen, Midlothian, Fredericksburg and Harrisonburg, and has always been a go-to for “the avid beer connoisseur.” It is “one of the original places in Virginia to have a large selection of craft beer,” and of course that includes Virginia craft beer. Interested in how craft beer tastes as it ages? Each location highlights a keg-of-the-month. One keg from August 2012’s keg-of-the-month was reserved, so that NOW, one year later, you can sample aged Hardywood Mocha Belgique in Richmond and Starr Hill Cryptical in Harrisonburg. Get a glass while they last! The Blue Toad in Afton is situated very nicely among the cluster of craft breweries in Nelson County. What’s more, they are proud to serve the wares of their neighbors. Nightly dinner specials include crab and shrimp, prime rib, and even bison burgers on the weekend. Don’t miss Pint Night. Pint Night includes the hand crafts from everyone along the Nelson 151 Trail and the Brew Ridge Trail. So? How’s that for kicking off August Virginia Craft Beer Month? Print it, share it, save it as you have a lot of ground to cover and only a short while to do it. Cheers!